Ok, first of all- a disclaimer. I’m a PhD student, not a photography whiz. Also, I only have two hands. It is very difficult for me to take pretty pictures, but I’ve tried my best. 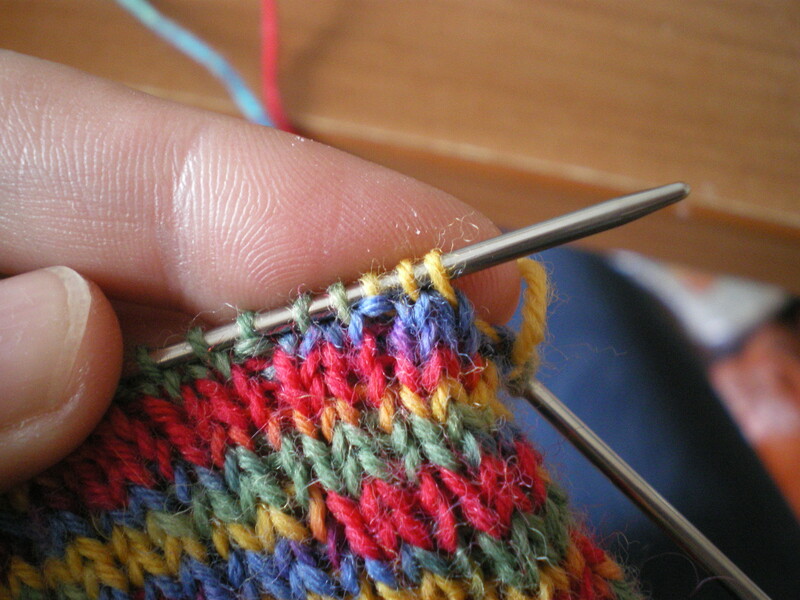 Needle- if I tell you to knit a needle, I mean all the stitches on one needle. 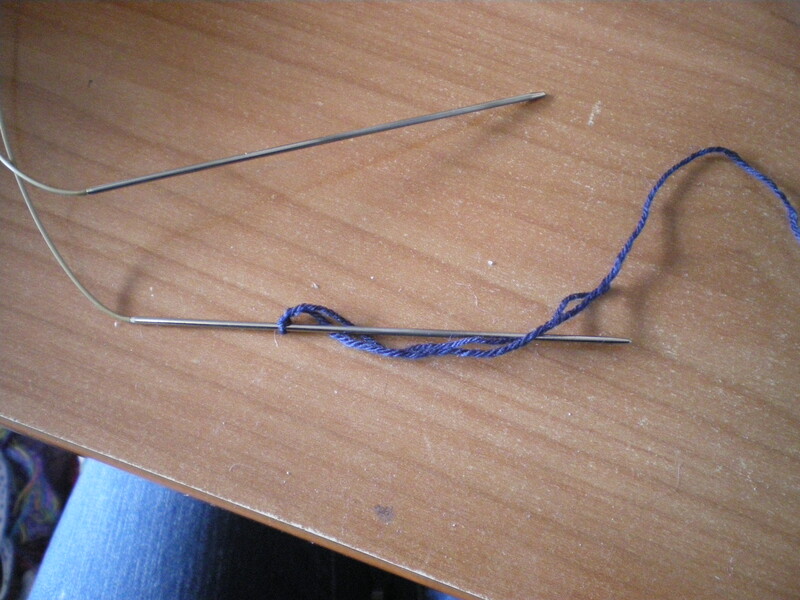 Two needles make a round. Round- the circular version of a row, you get back to where you started, but a row above. 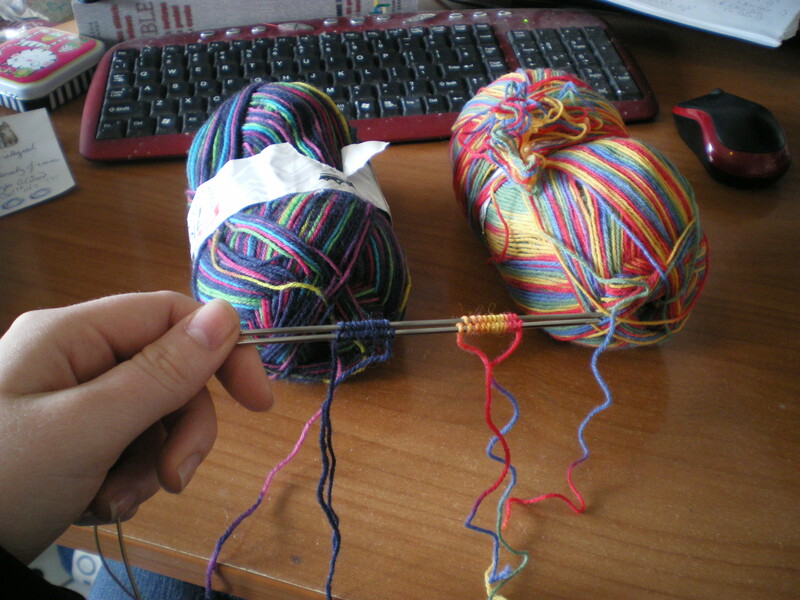 TAAT- knitting Two At A Time. That said, let’s get on with the show! The first thing you need to do is cast on. 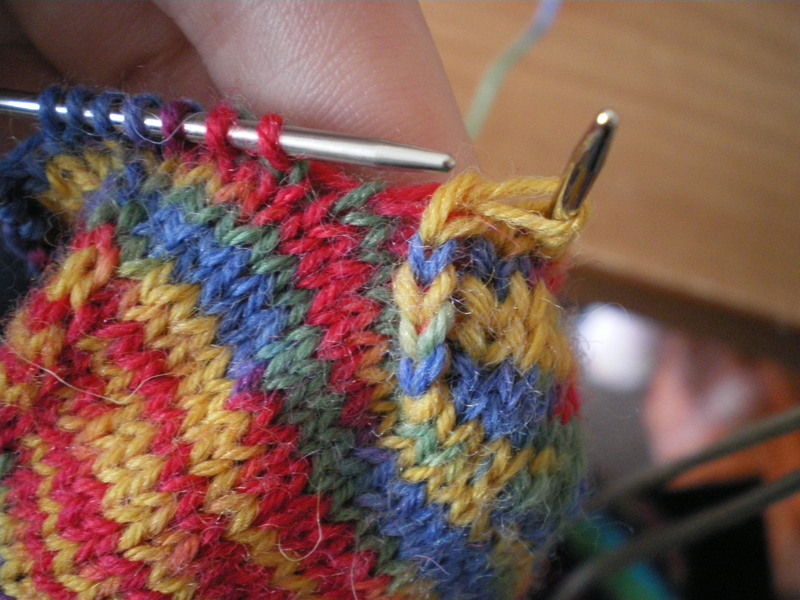 I use the figure 8 cast on. This isn’t the only one, but I particularly like it because you don’t need to guess the amount of yarn you’ll need at the beginning. 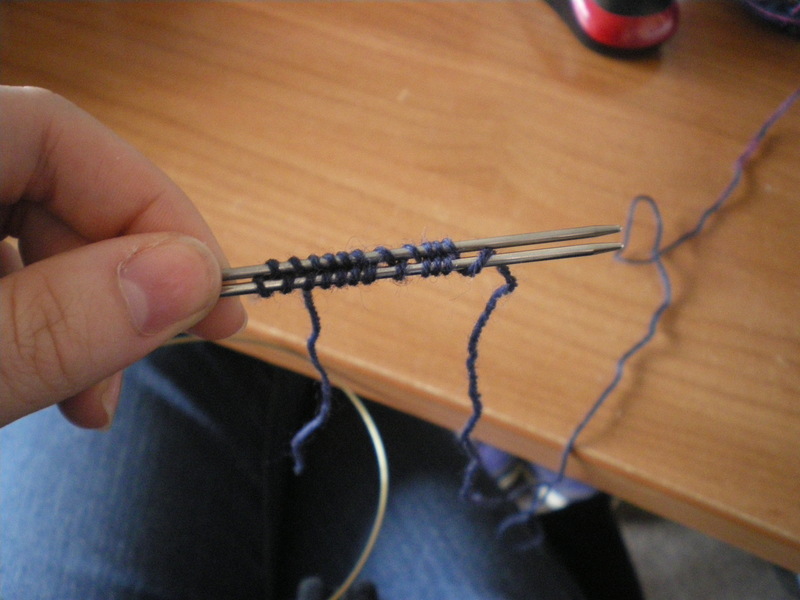 You start off with a slip knot, as usual. 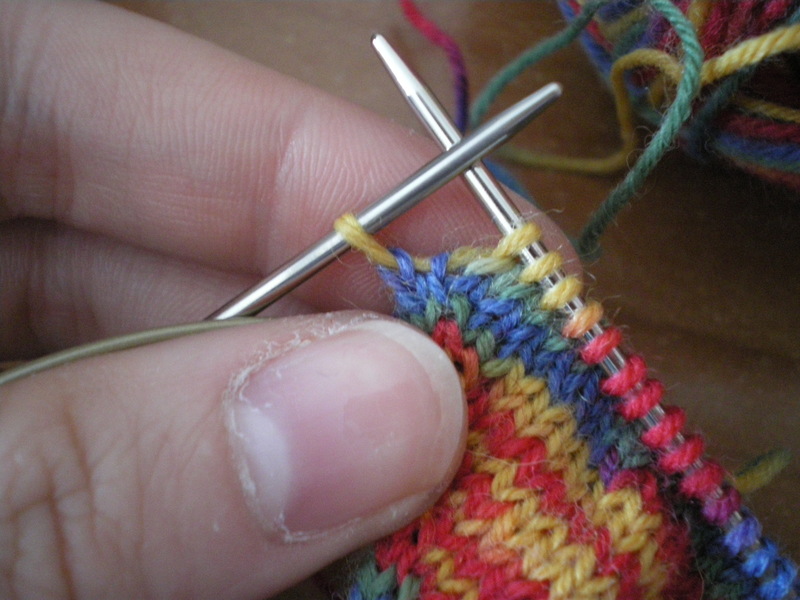 Then you need to arrange your needles- put the one with the knot on below the one without the knot. 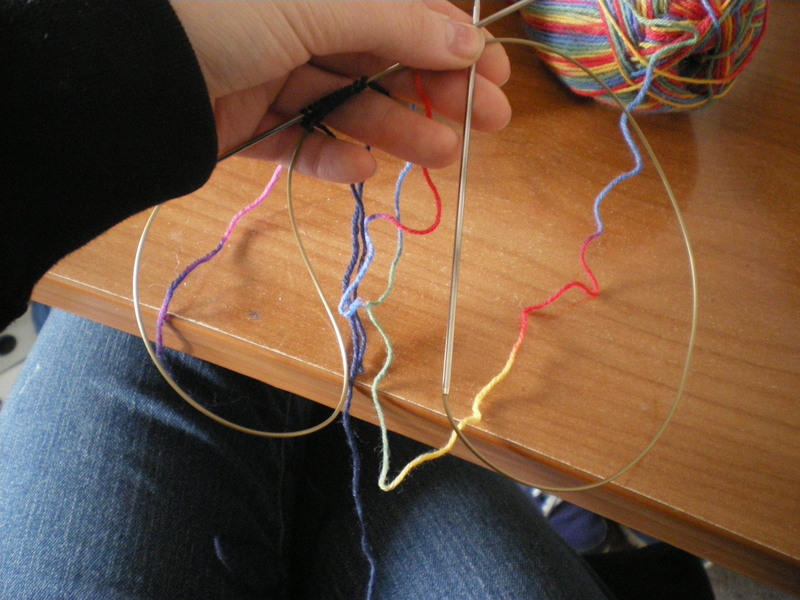 The aim is to have them neatly lined up next to each other, but that generally takes a few stitches. 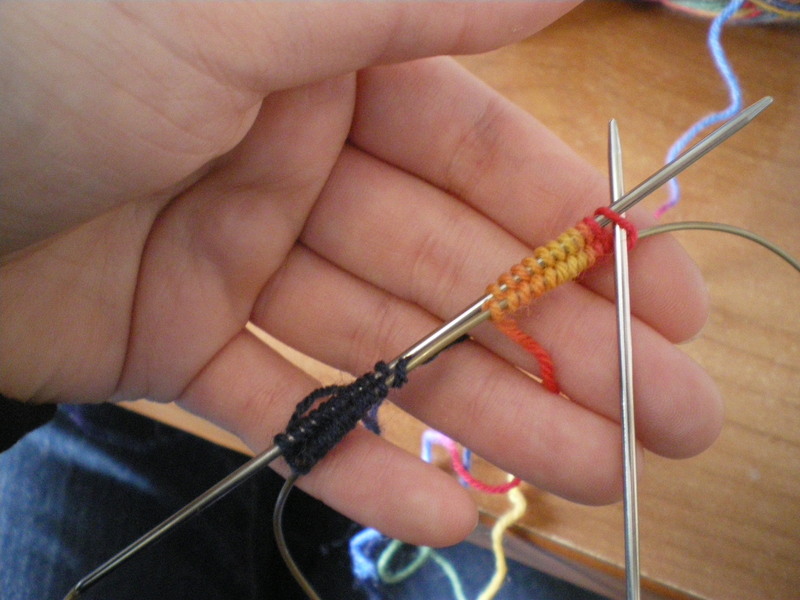 Begin winding the ball end of yarn around the two needles in a figure of 8(hence the name of this particular cast on). 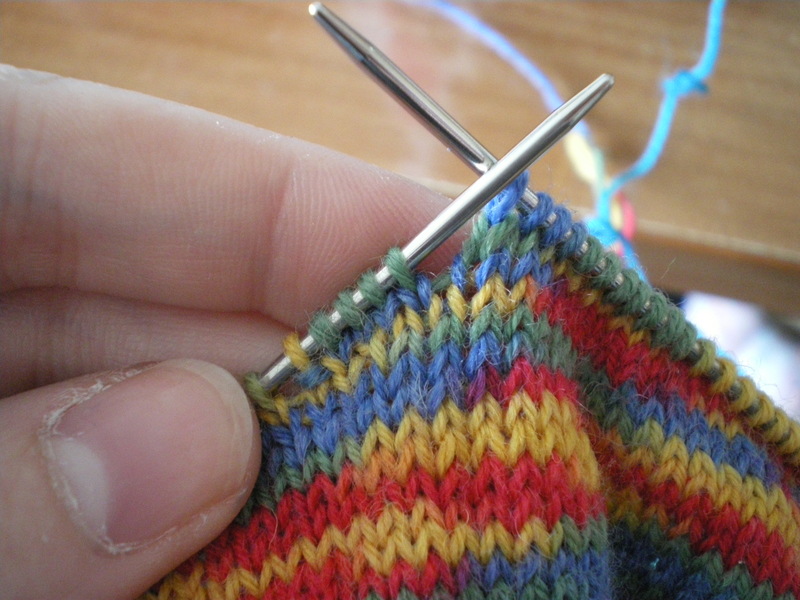 You start with the top needle, bring the yarn over the top and down between the two needles. 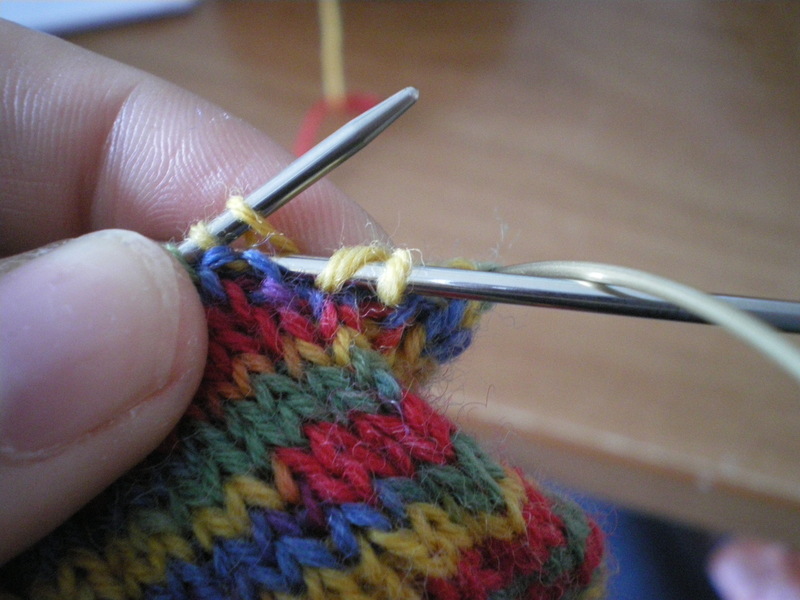 Then do the same thing for the bottom needle, and so on. 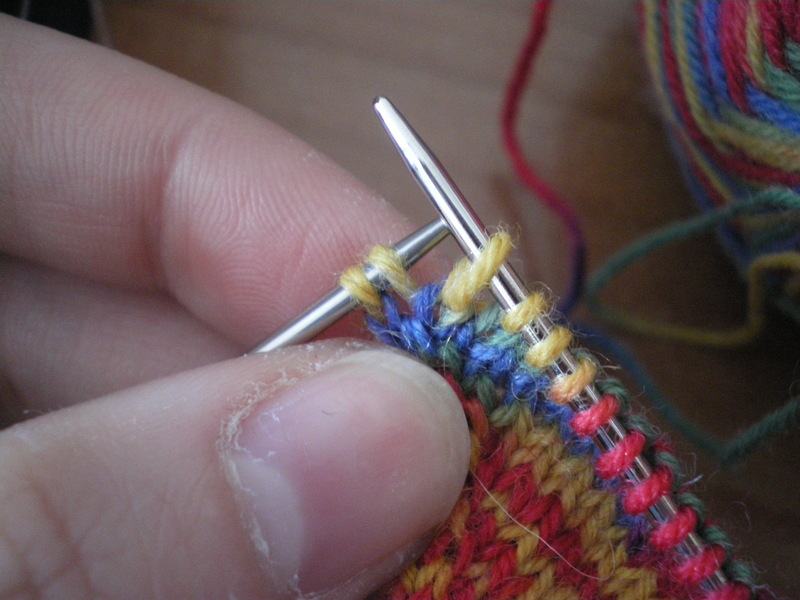 Here you can see the slip knot on the bottom needle, and two stitches, one on each needle (the slip knot doesn’t count as a stitch). 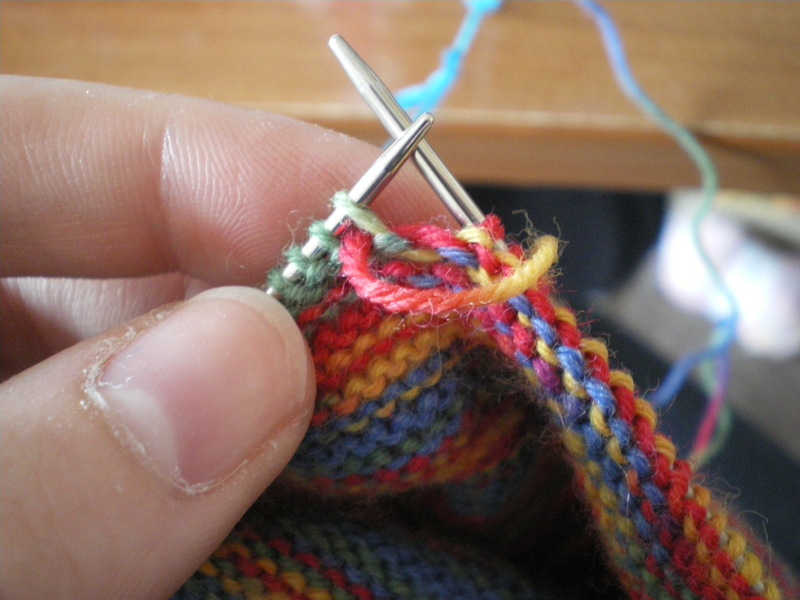 Continue in this manner until you have the required number of stitches (check both needles, I’ve somehow lost stitches before). 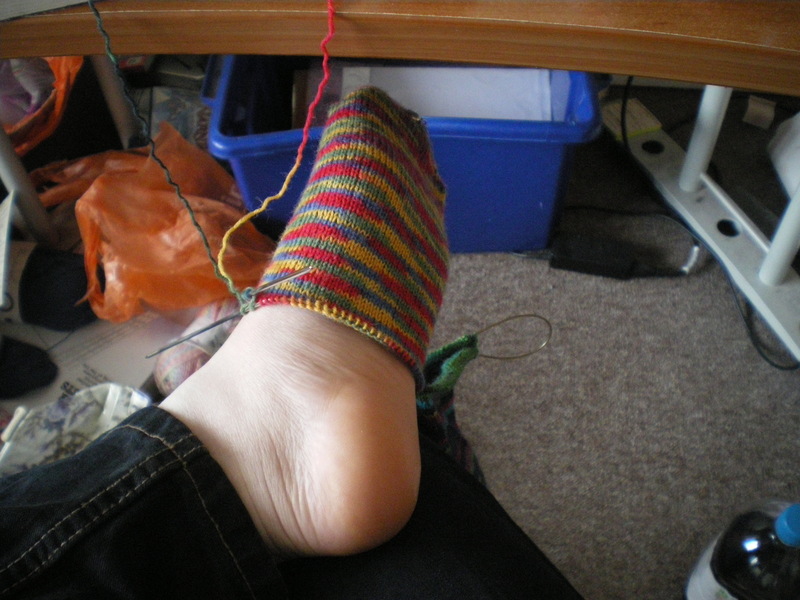 I knit the largest size of sock, so I need to have 11 stitches top and bottom. 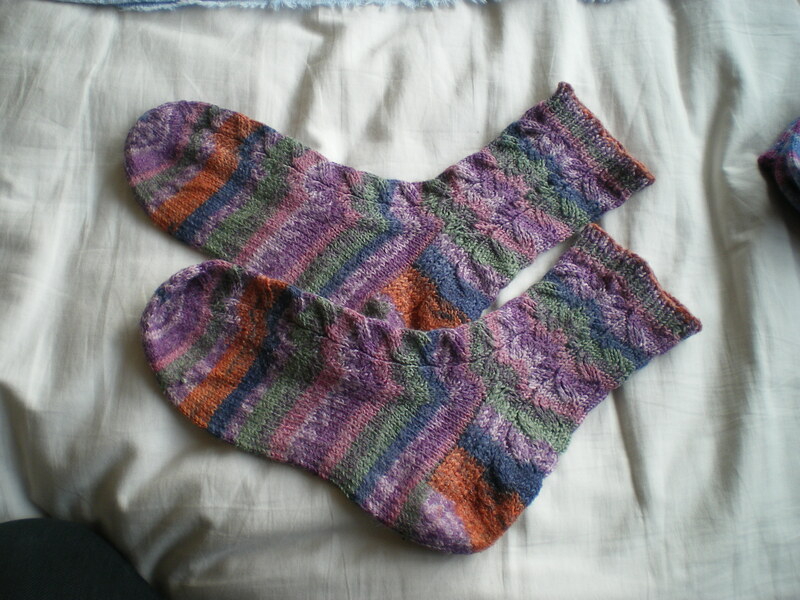 I knit two socks a time (called TAAT), and so now I cast on another 11 stitches top and bottom for another sock. 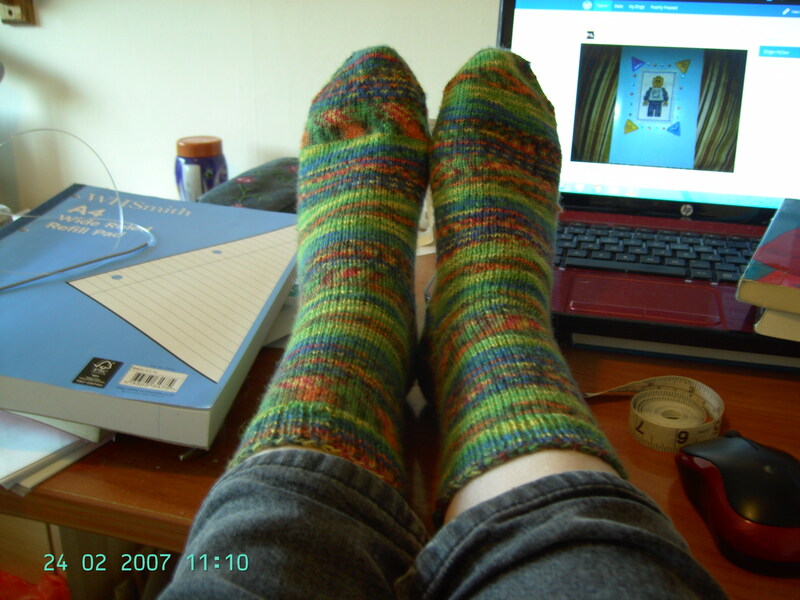 Now it’s time to start knitting your sock! 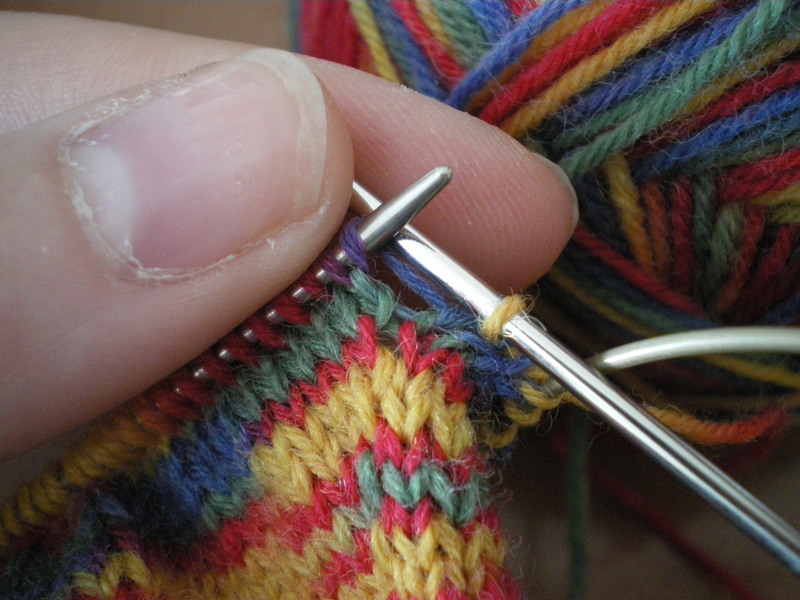 For the first round, we won’t be increasing at all, just knitting around. 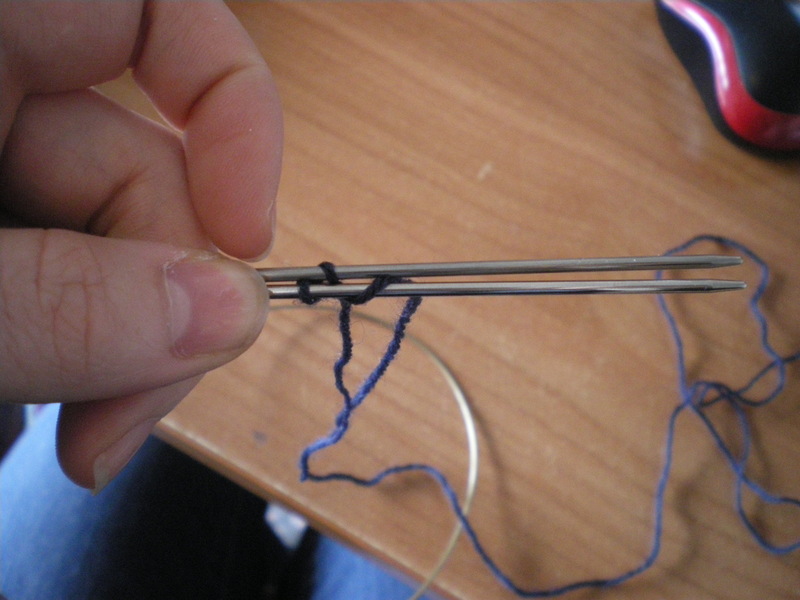 Before we can do that, we needle to free the bottom needle by sliding it out. 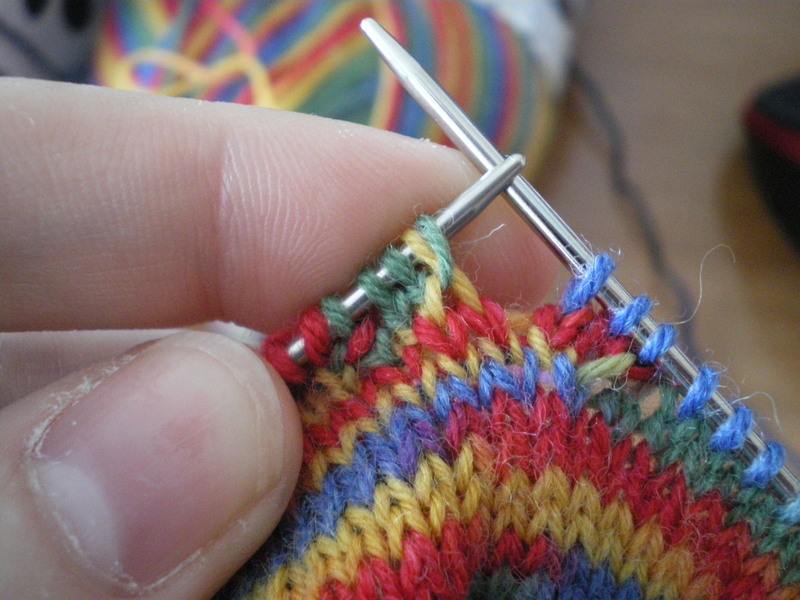 The cable will hold the stitches. This picture shows what the cable loops will look like. And what the needle tips will look like. 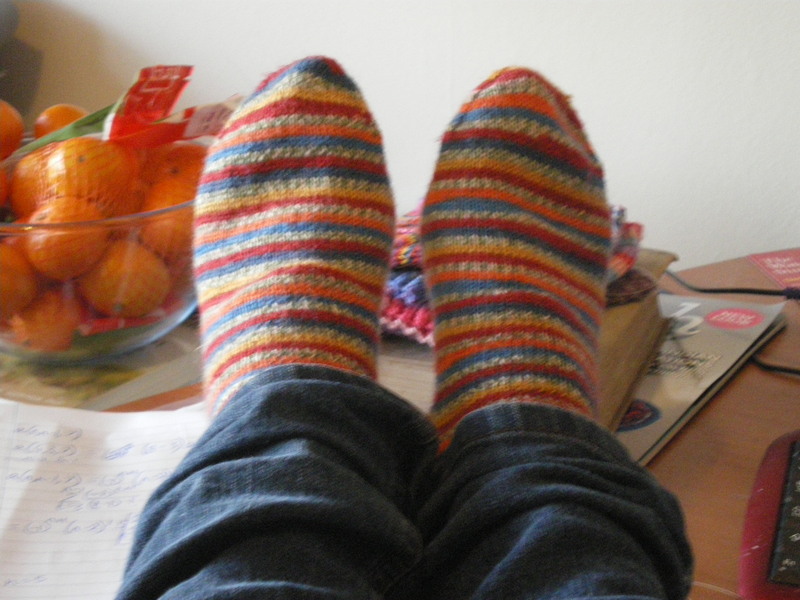 So, begin by knitting straight across the needle (both socks, if you are doing TAAT). 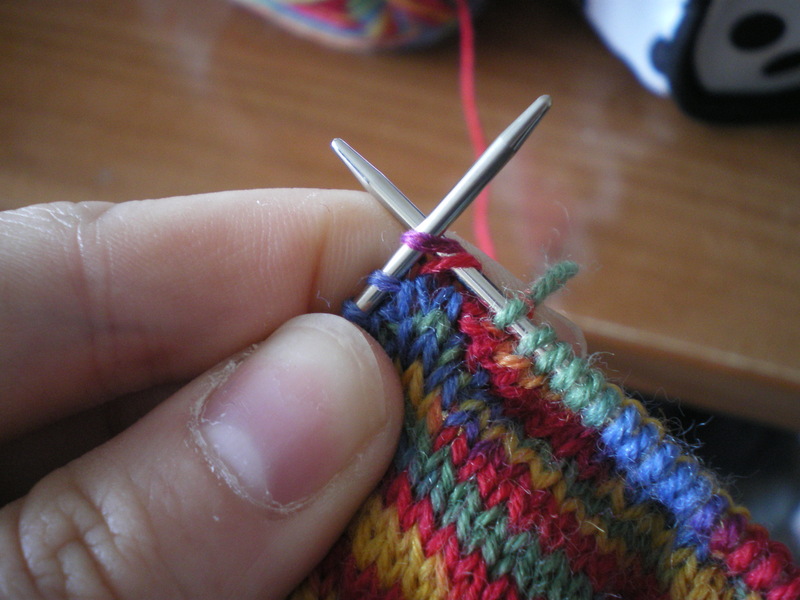 You’ll find as you get further along the needle that your stitches get looser, this is completely normal and fine. 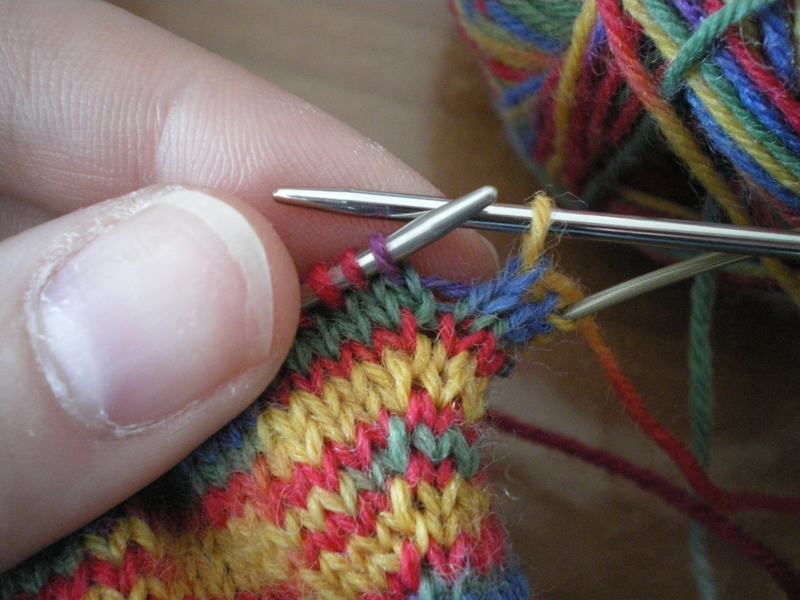 When you’ve finished one needle, turn and prepare the work the next row, but we need to do a few things first. 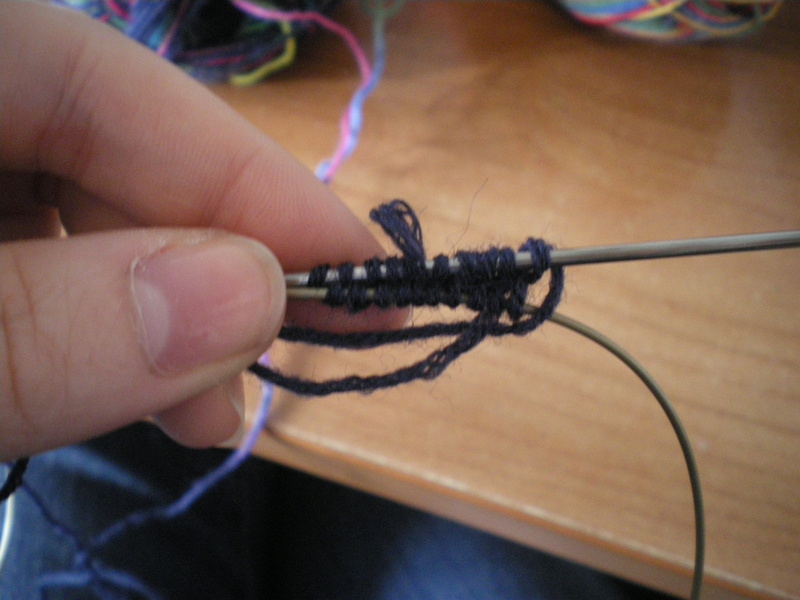 First thing is to take the slip knot off the top needle. 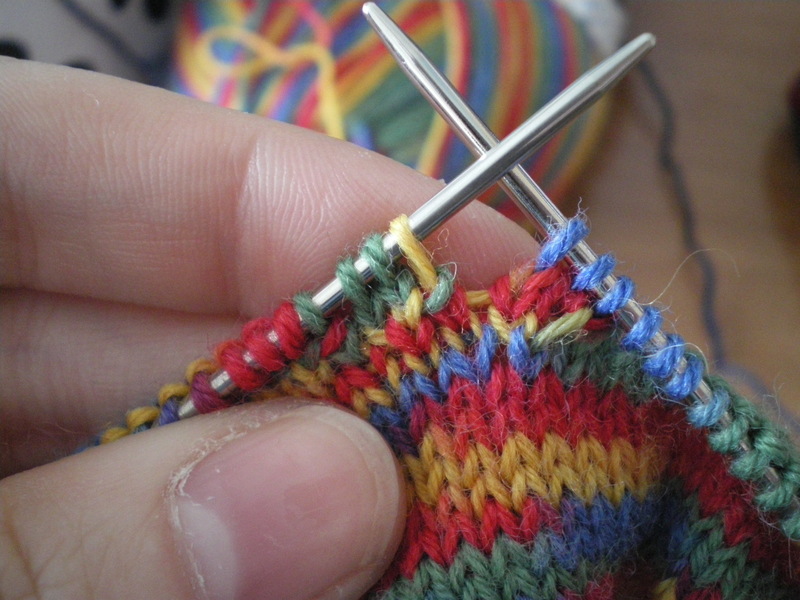 I weave in ends as I knit, rather than wait until the end and darn, but that’s up to you. 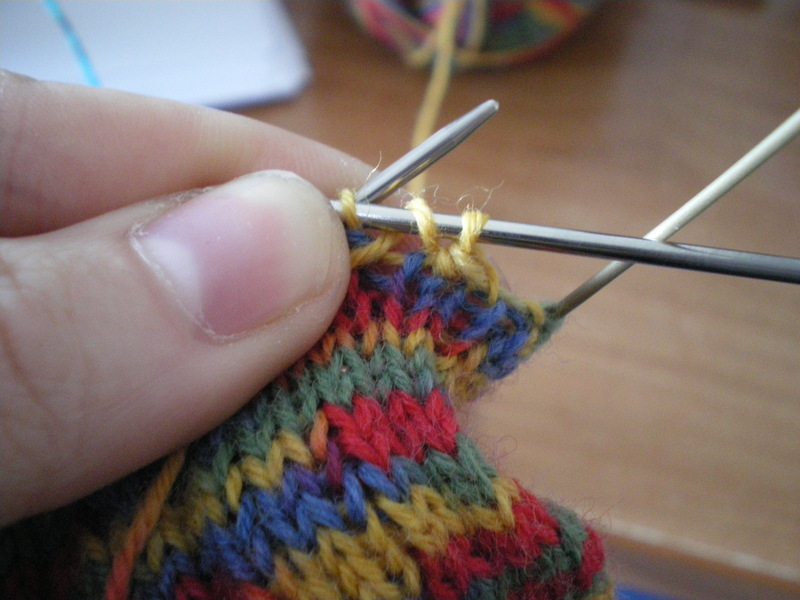 You also need to tighten the top stitches, so they don’t get looser in the same way as they did on the first needle. 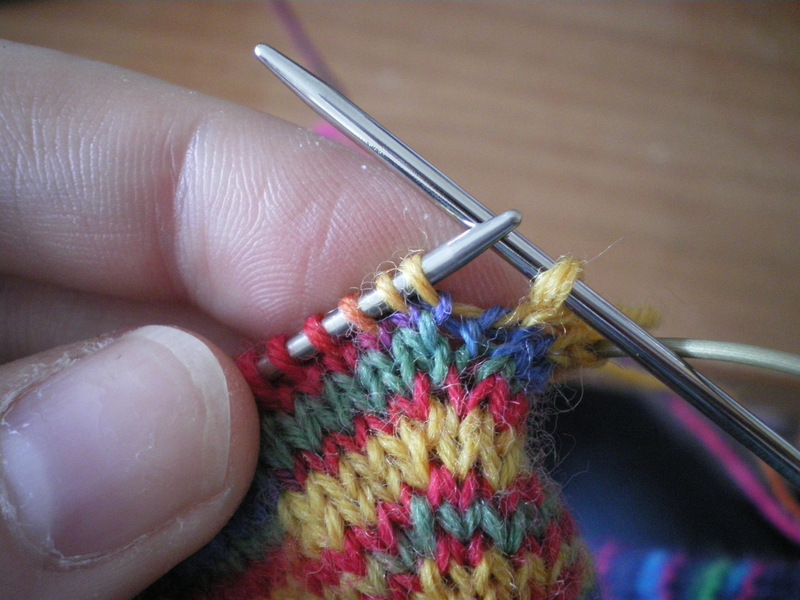 Beginning with the left-end stitch, insert your needle into each stitch and tug gently. 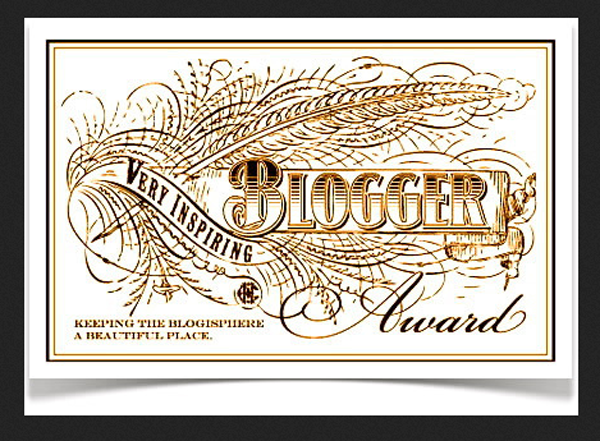 There’s a surprising amount of slack to be taken up. This is after about half the stitches have been tugged. 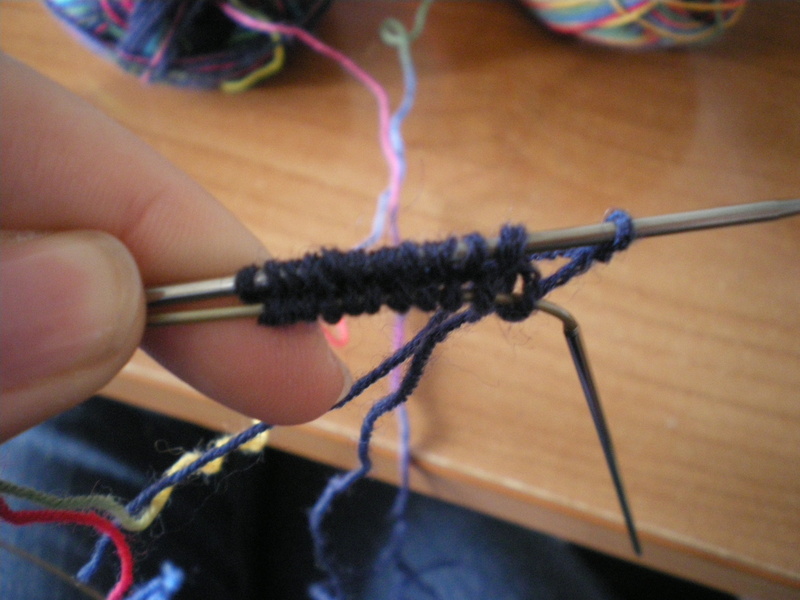 When they’ve all been tugged, and the remaining slack has been added into the tail, knit through the back loop of each stitch. 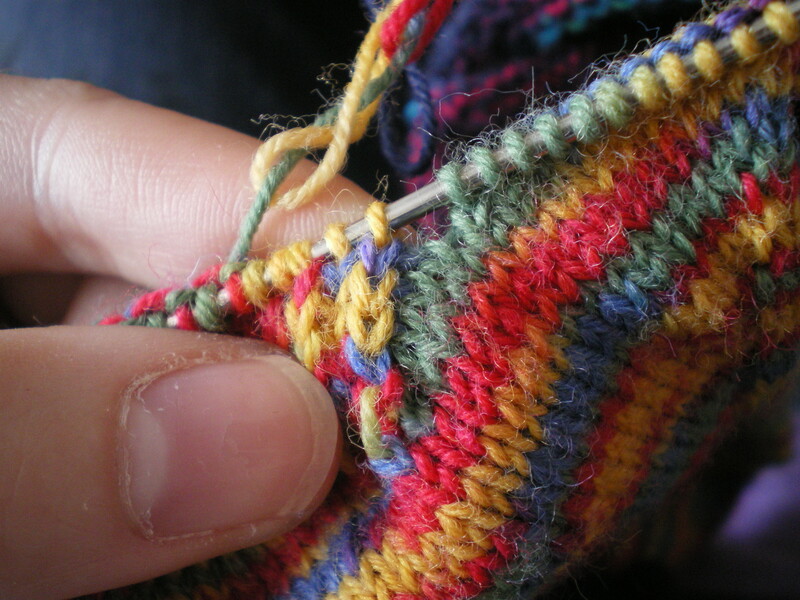 After the first one, it’s natural and easy to knit into the back loop, ad it untwists the stitches from when they became twisted as you cast on. 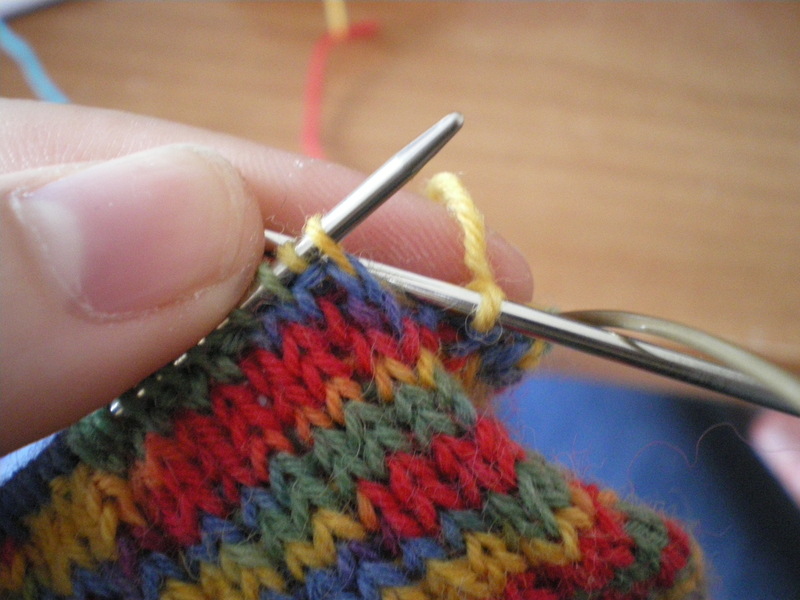 Round A: k1, M1R, knit to 1 stitch from end of needle 1, M1L, k1; k1, M1R, knit to 1 stitch from end of needle 2, M1L, k1. 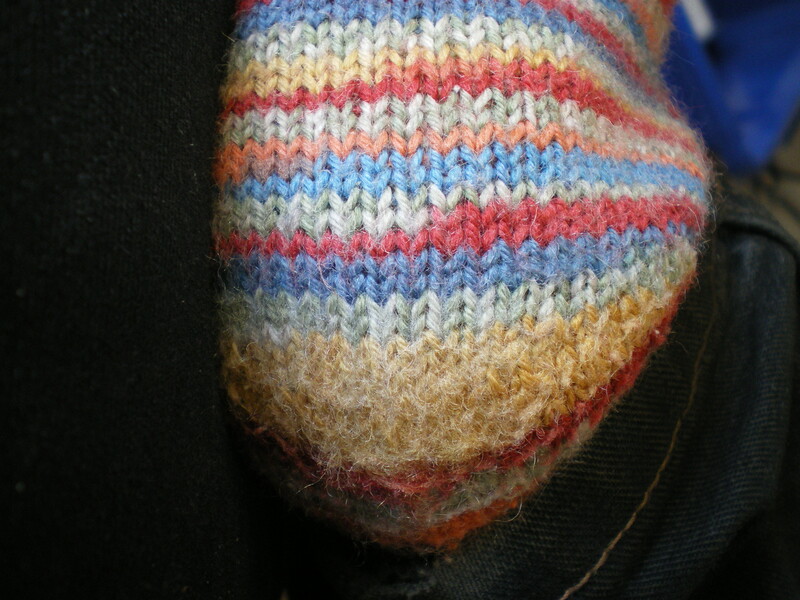 This sock is actually knit cuff-down, rather than toe-up, as is my general method, but that doesn’t make any difference. The pink bit of this sock is the toe. 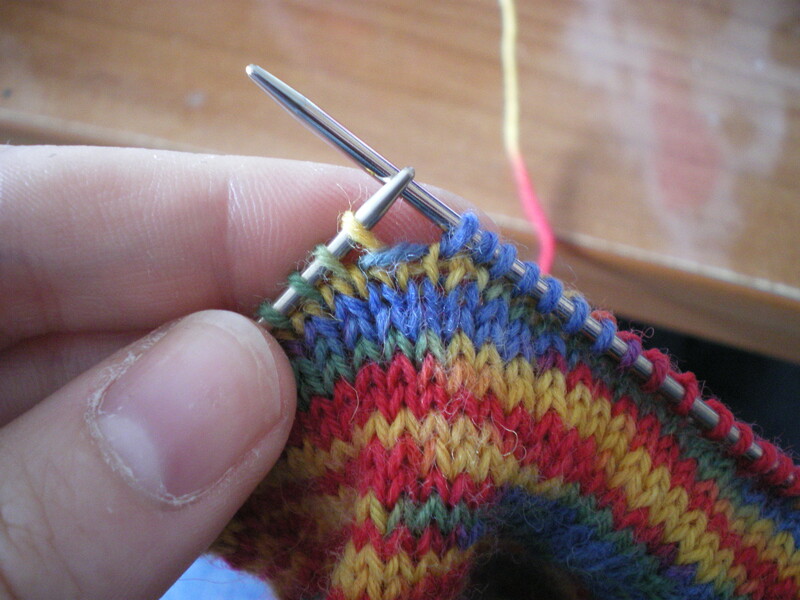 You start my casting on some stitches(there are various special cast ons for this, and I will discuss my favorite one next week), and increase until you have enough stitches to go around your foot. 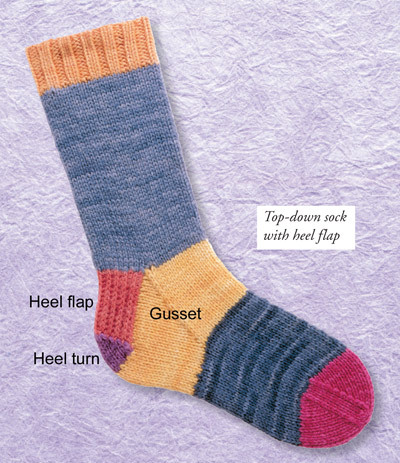 The dark grey stripy part of the sock is the instep. This is just quite a lot of stocking stitch mostly. 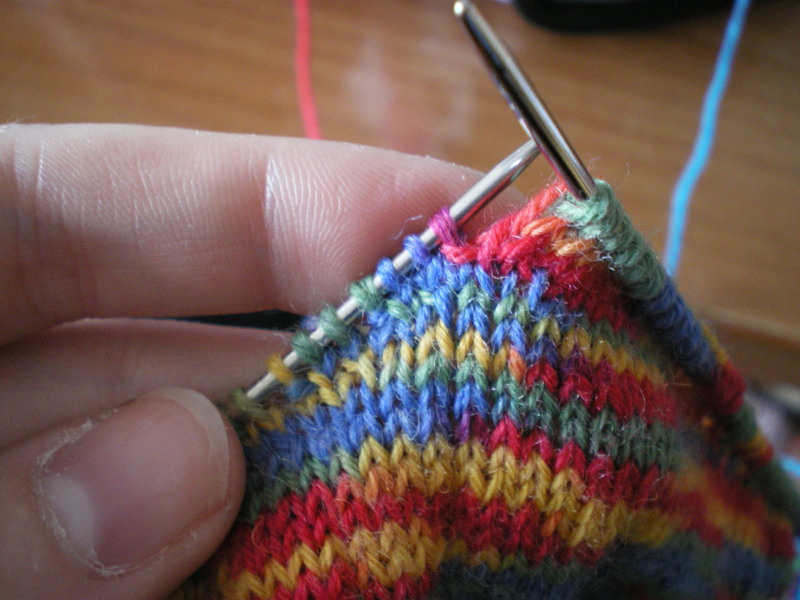 If you’re using a pattern, only work it on the top of the sock- you want to have nice squishy stocking stitch layer of sock between your foot and the floor. 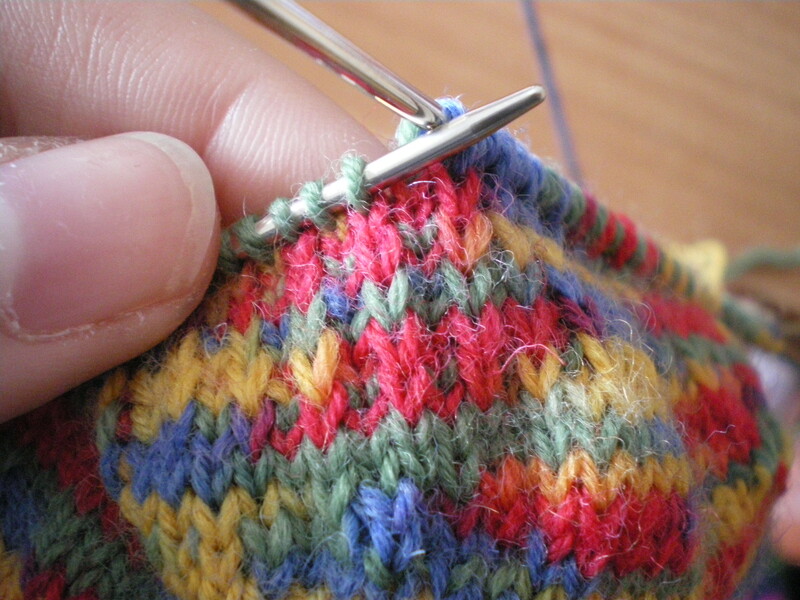 The green and yellow bit at the bottom of the picture (under the blue stripe) are the short rows. 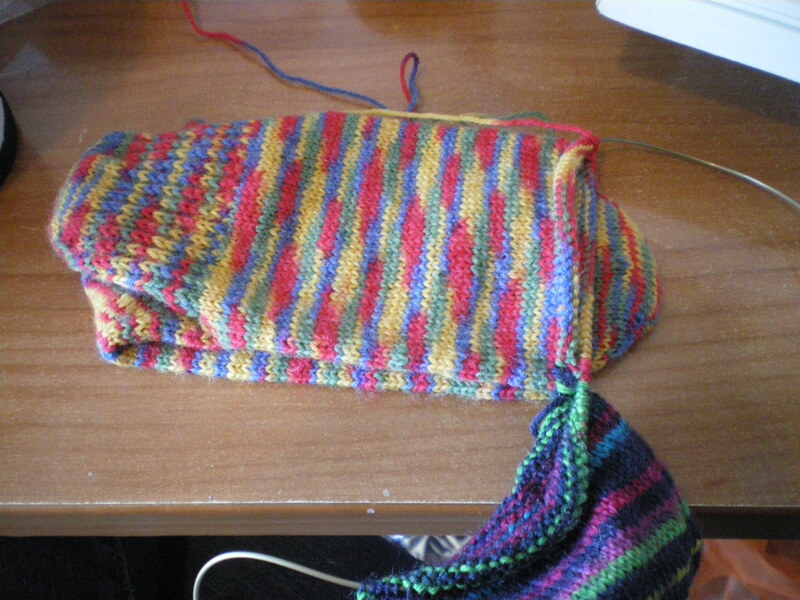 It curves the end of the sock. Again, do it on the bottom of the sock! 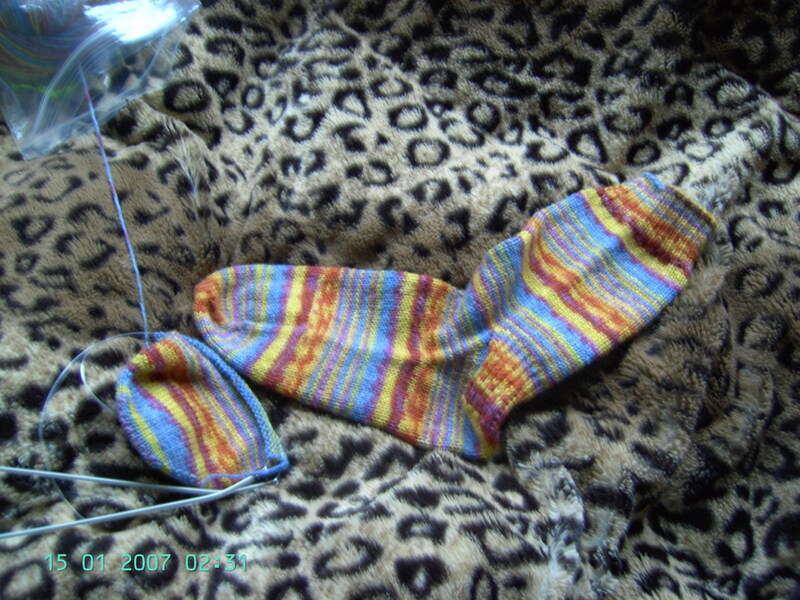 The light blue part of the sock picture at the top of the post. 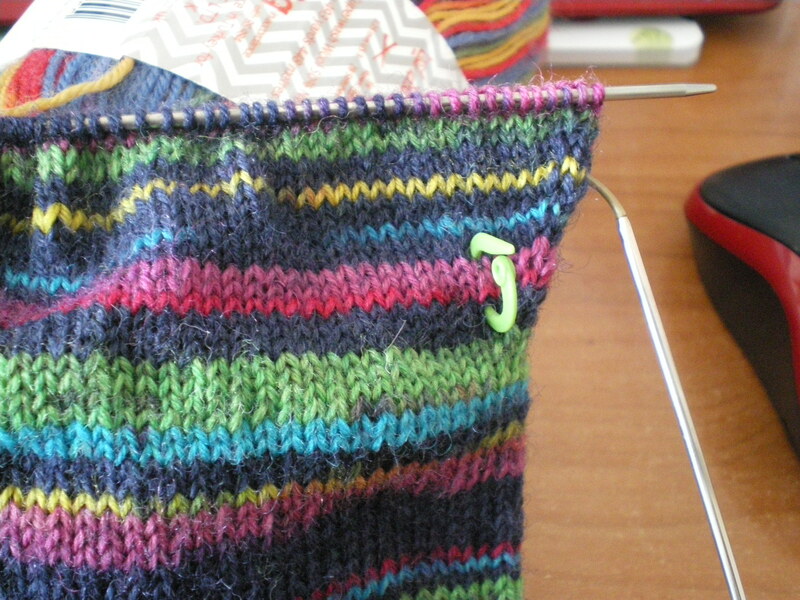 If you’re using a pattern, do it all over this time, not just on the front of the sock this time. 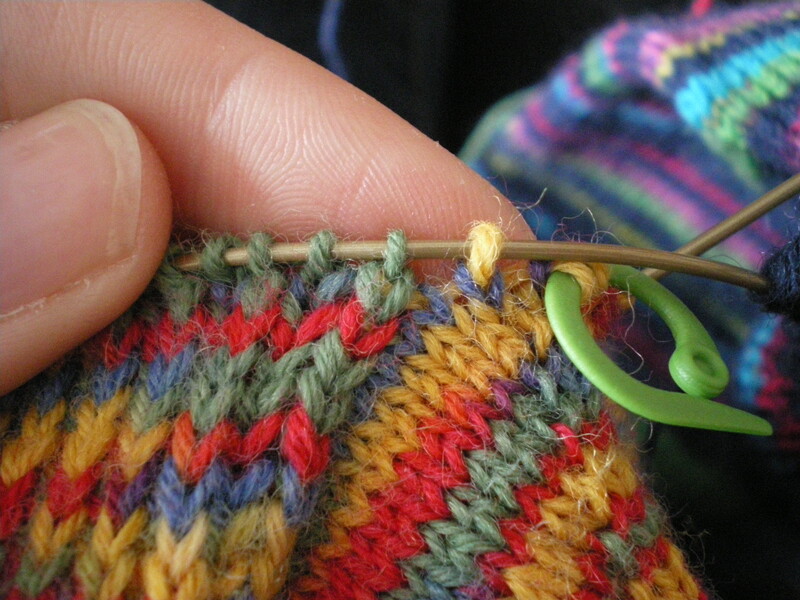 And finally, we reach the cuff of the sock(the orange bit in the photo). 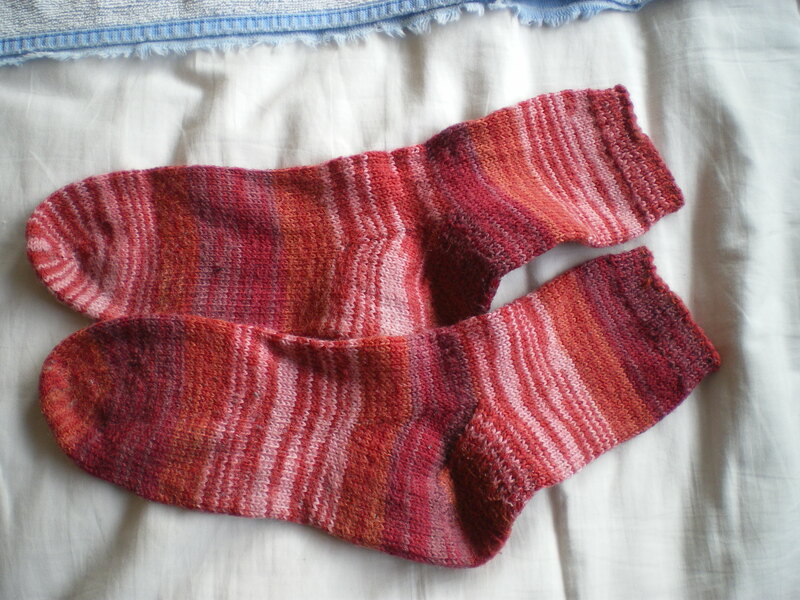 Usually done in rib of some kind, to ensure the sock stays up all day, and doesn’t get saggy because the fabric stretches all day. 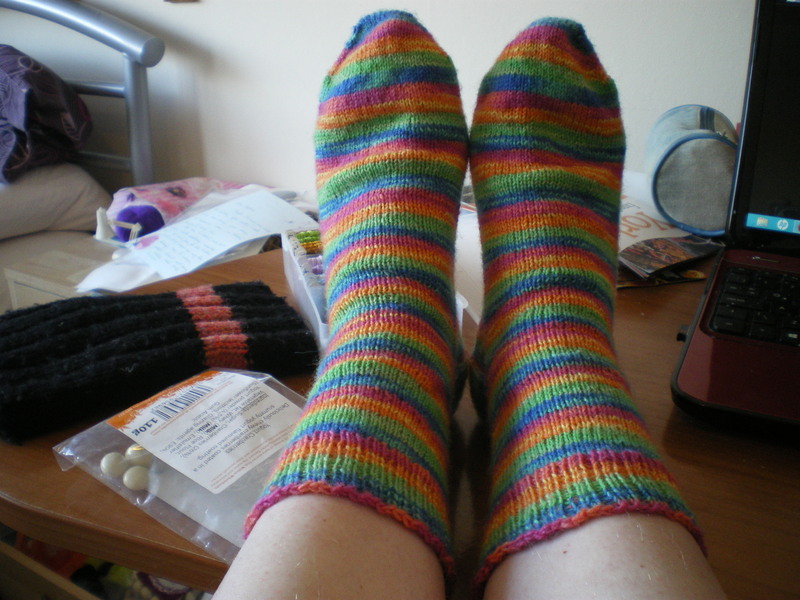 Don’t skimp on this- I generally do about an inch and a half, and I definitely notice the difference with my earlier socks when I didn’t do that much rib. 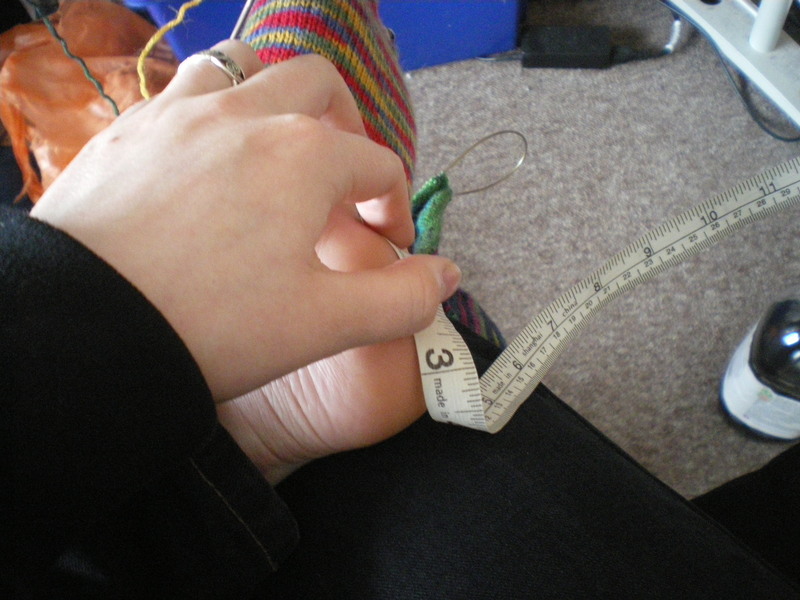 4) Print out ‘All the math‘, and figure out what size sock you need to make, based on your foot size and gauge. So I will see you all next week, when we discuss casting on and increasing for the toe! 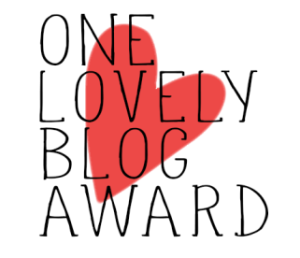 Again, apologies for the lateness of this post. I now have a monitor, so I am now back as usual. At some point, I shall need to send my laptop away for repairs, but I’ll worry about that later! 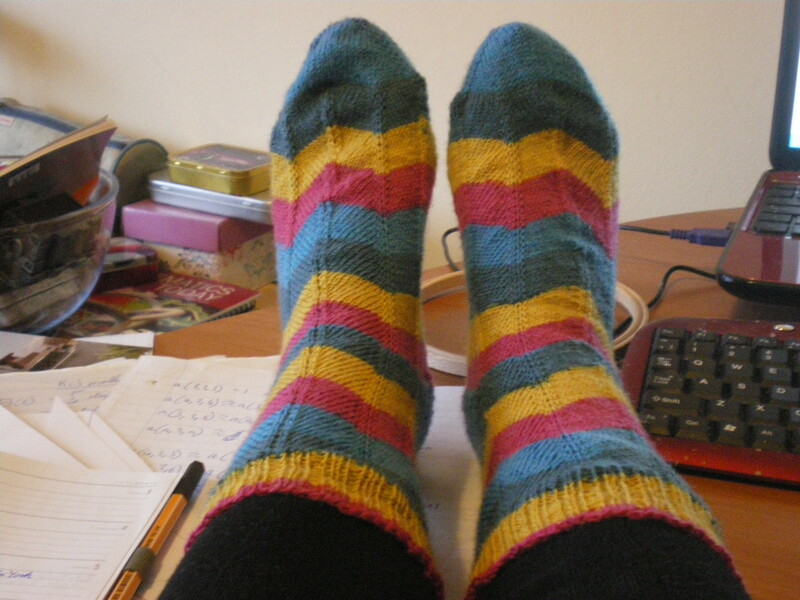 So, back to socks. This week I’m explaining how I wash and generally care for my socks on a day to day basis. 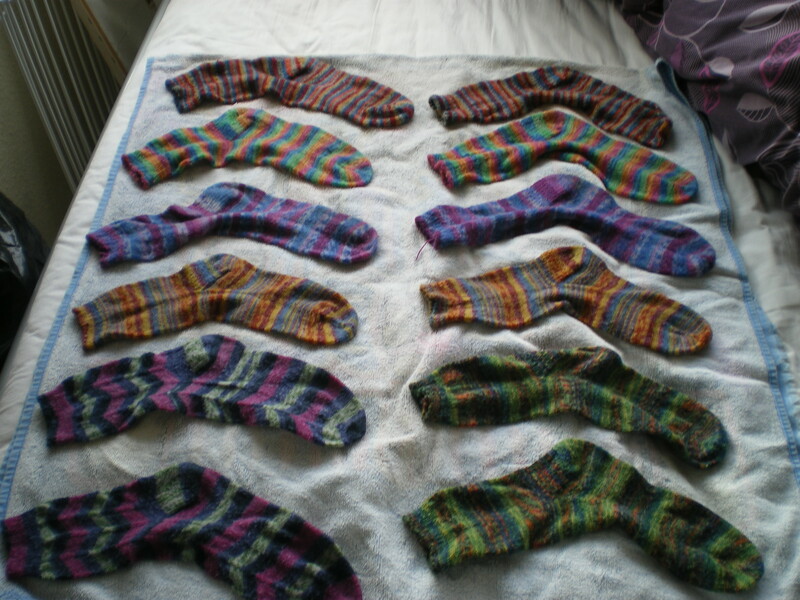 I wash socks in batches of 5 pairs (usually. I can fit 6 pairs on a towel, so sometimes if I’ve been lazy and they’re really piling up I do a batch of 6.). 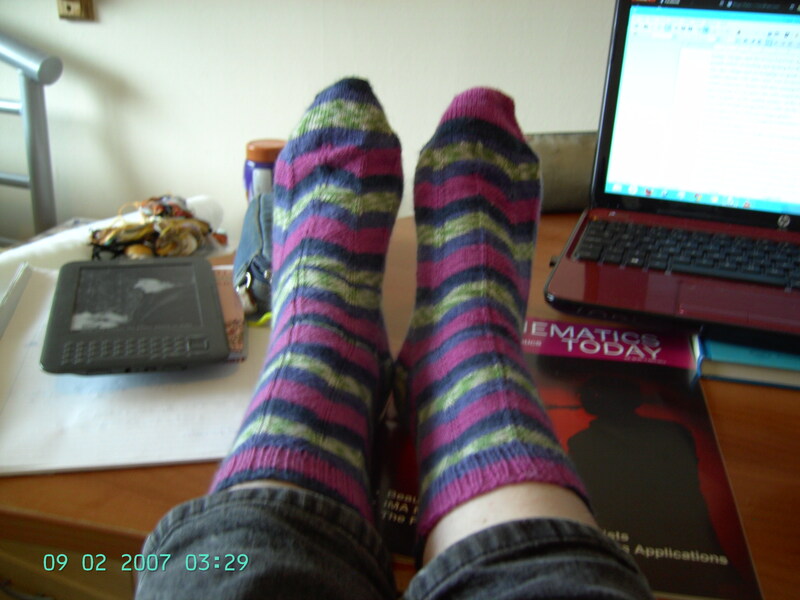 How many you do a time will depend on personal preference, and how many socks you have. 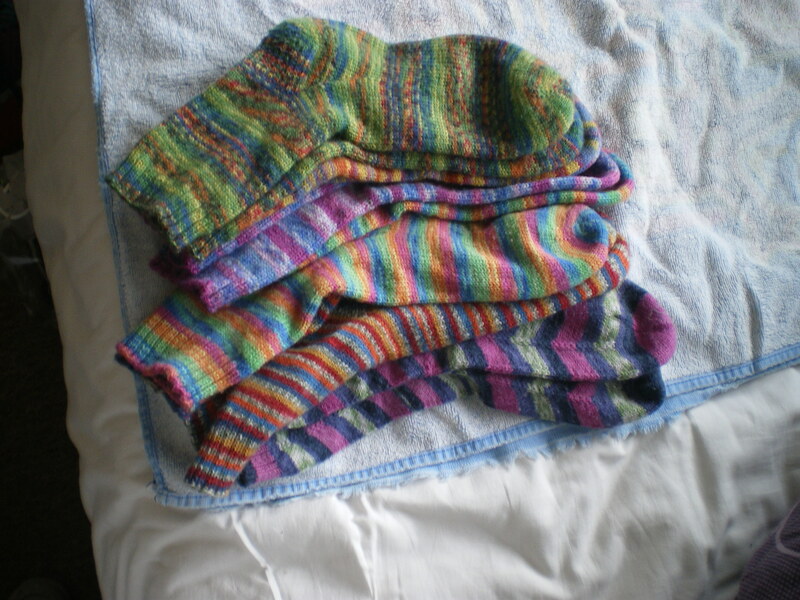 So, after all the socks are piled up ready to be washed, I first of all make sure I have complete pairs, and there aren’t any odd socks missing. 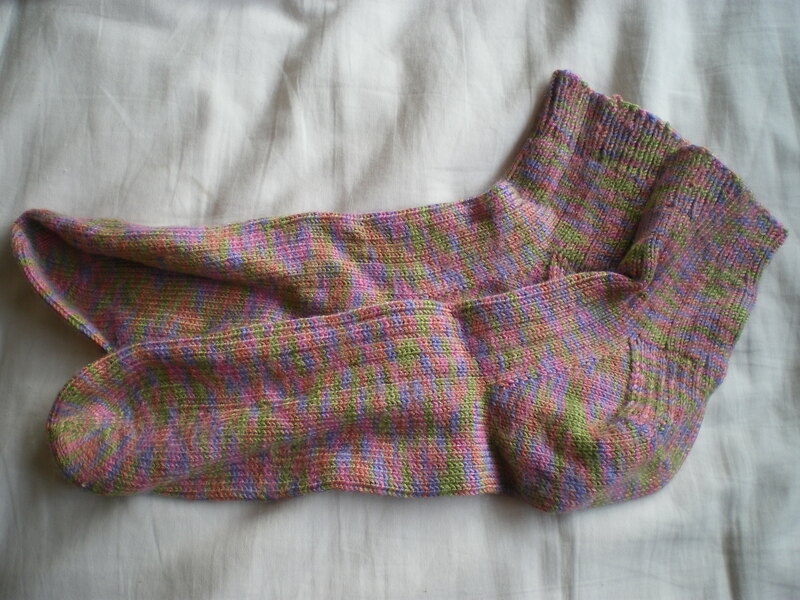 Then I carefully go over every sock to check for weak patches, either to fix or to make a note of to watch of more wear. I’ll talk about weal points and repairs in a later post. Also, because I have long hair and I’d rather not wash it with the socks, I pull off and throw away all my hair off them. It’s amazing how much can accumulate on them! The next step is to actually wash them. 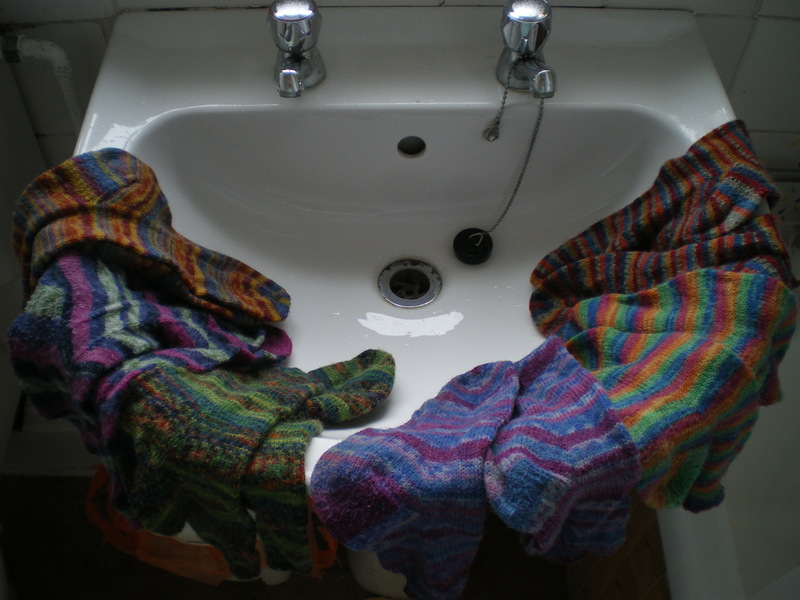 If necessary, wash the sink you’ll be using, then fill it with warm water and some form of cleaning agent (I use cheap shampoo, but there are some detergents designed to be used with knitting). 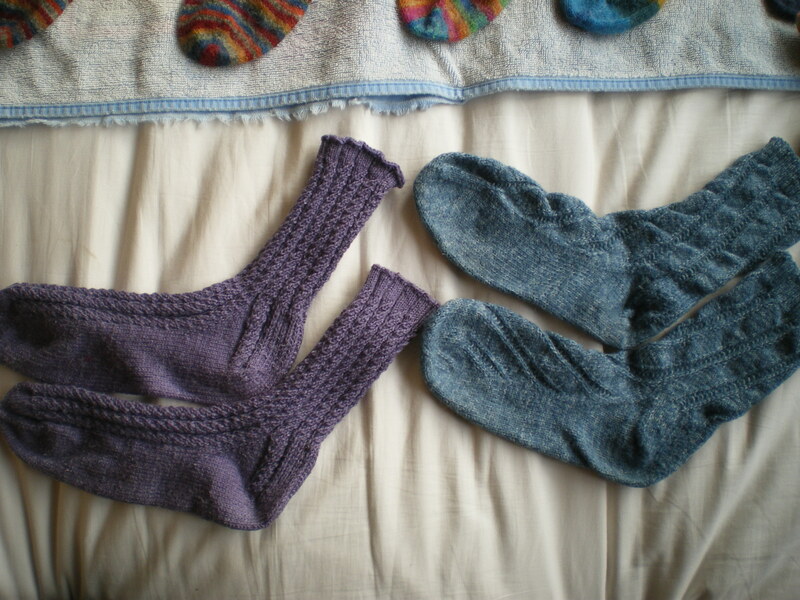 Then lay your socks on the bubbles, and leave them to sink down into the water. 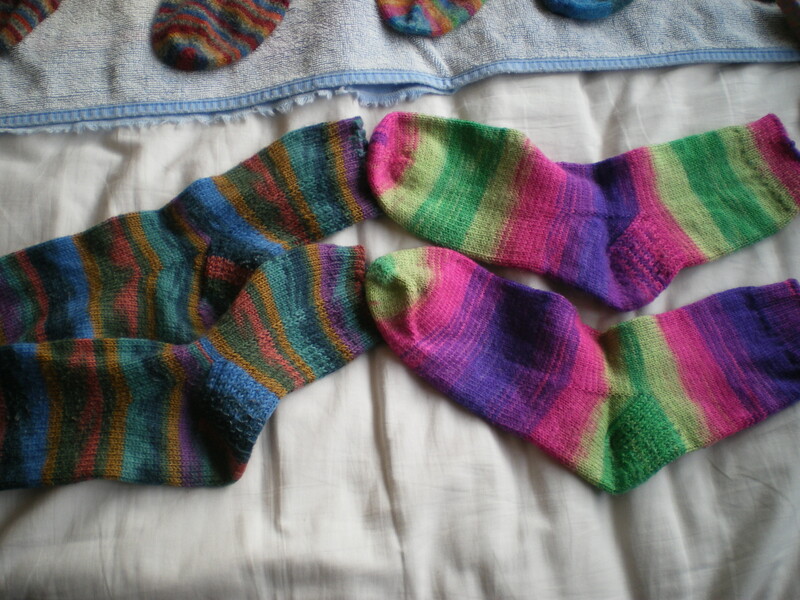 Because I don’t want to leave my socks unattended for long periods of time (and it’s a shared bathroom I don’t want to put out of commission for so long!) I gently push them down and stir around. 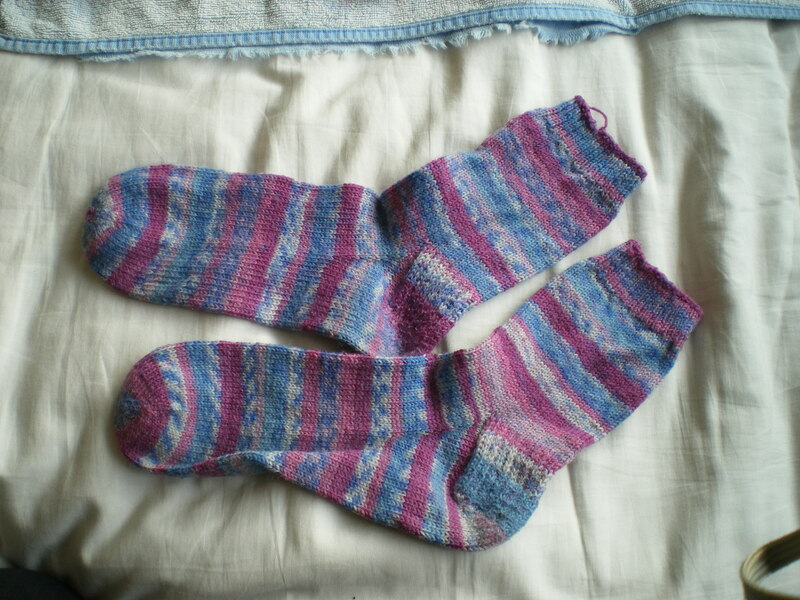 Don’t be too harsh on the socks, otherwise they’re in danger of felting. 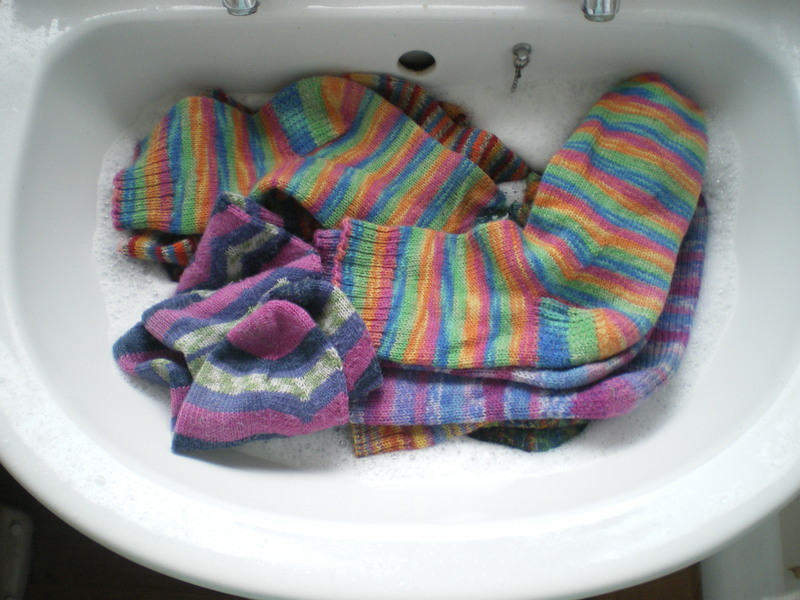 After washing them for a bit, I rinse in the same manner- fill the sink with warm water (you don’t want to shock the socks by having a vastly different temperature here) and soak the socks. When you think they’re bubble-free, drain the sick and squeeze as much water as you can out of the socks. DON’T wring them out, they’ll end up massively deformed. As I’m doing this step, I line them up on the edge of the sink in their pairs. Again, it helps make sure that random socks haven’t gone down the drain or anything crazy! Now all that is left is drying them. 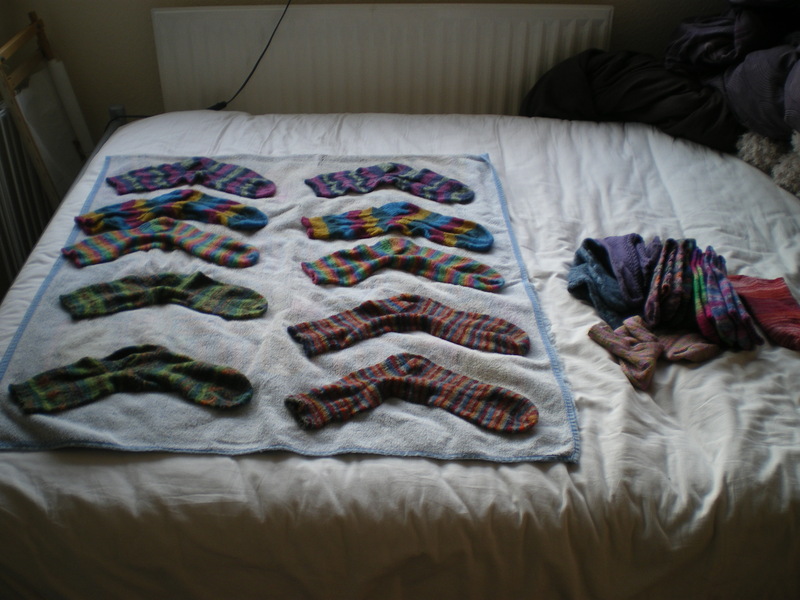 I don’t own any sock blockers, and so I lay them out on a towel. I lay them out on my bed, as I don’t have much floor space! When I go to bed, I replace the towel and roll it up, and then the next morning I roll it out again. In the Winter, they can take 4 days to dry, but when it gets warmer it takes closer to 2! 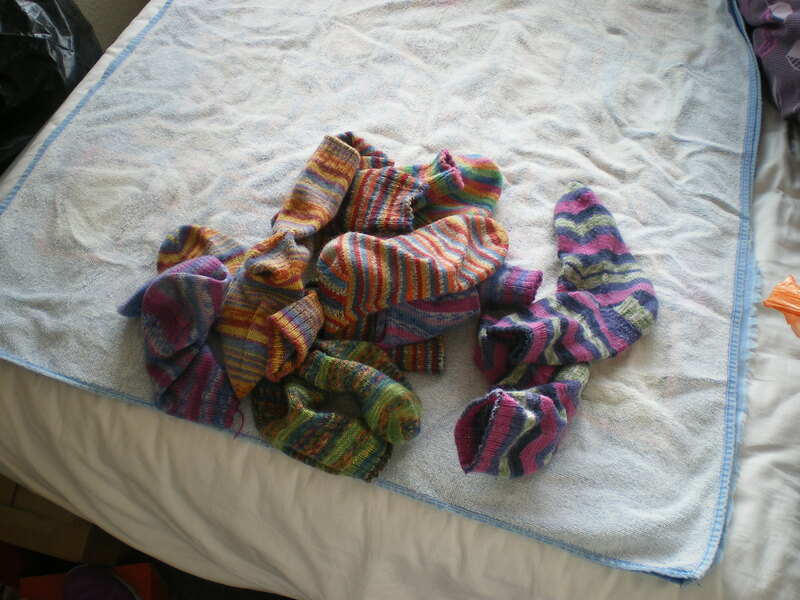 When they are dry, all that is left to do is fold them up and put them away ready to be used next time!